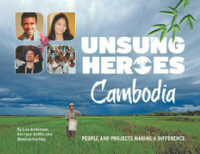 All activities are now funded by The White Bicycles in Cambodia so no further donations are needed for ongoing projects. We would at the same time like to thank all sponsors over the years for making it possible to complete our program in Cambodia! The Norwegian Educational Development Organisation (NEDO) is a Norwegian registered non profit organisation with active projects in Cambodia. 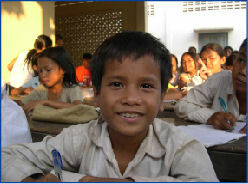 NEDO is financed by private and corporate donations, and by income from charity projects in Cambodia. NEDO was founded by Ken Oishi (born in Oslo, Norway, 1972) in 2006. He was working as a volunteer for NEDO in Cambodia from 2006 until 2013, and is now monitoring ongoing projects and all financials from Norway. Edamame seeds for local farming projects. Material and Production cost of water filters to NEDO's Clean drinking water project. Trainee positions, fundraising and free office space. 20.08.2016, Panith Phorn just finished 4 months of internship at Kossamak Hospital and starts year 6 six at Medical School next month.